GreenStage is auditioning for our 2019 Shakespeare in the Park Season. Our season includes two full length, full cast productions, and our Backyard Bard series that consists of two abbreviated plays both done by the same cast of 4 actors. Use link at bottom of page to schedule your audition. Our productions are largely ensemble based, with some actors taking on multiple roles. 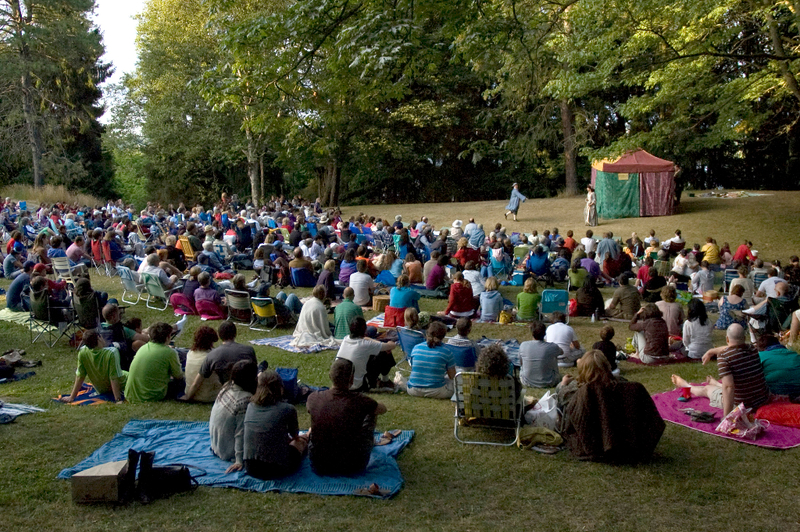 We are interested in seeing actors who have experience in outdoor theater, but all actors are welcome. At this point, all roles are open. Each of our productions tours to approximately twelve outdoor park locations in and around Seattle. Please prepare 2 Shakespeare or classic monologues, at least one in verse. we encourage you to chose monologues that you are inspired by, not necessarily the gender of the role. We strongly suggest familiarizing yourself with the plays in our season prior to auditioning.